Why are positrons so important in medical diagnostics? Nuclear medicine is a medical specialty that uses radioactive tracers (radiopharmaceuticals) to assess bodily functions and to diagnose and treat disease. Specially designed cameras allow doctors to track the path of these radioactive tracers. Single Photon Emission Computed Tomography or SPECT and Positron Emission Tomography or PET scans are the two most common imaging modalities in nuclear medicine. Positron-emission tomography (PET) is a nuclear medicine functional imaging technique that is used to observe metabolic processes in the body. The system detects pairs of gamma rays emitted indirectly by a positron-emitting radionuclide (tracer), which is introduced into the body on a biologically active molecule. Three-dimensional images of tracer concentration within the body are then constructed by computer analysis. 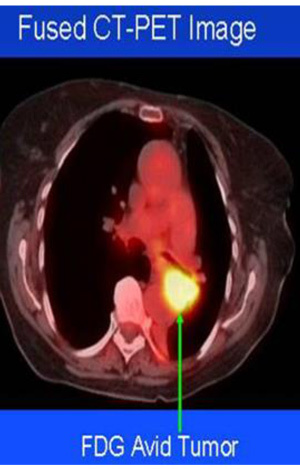 In modern PET-CT scanners, three-dimensional imaging is often accomplished with the aid of a CT X-ray scan performed on the patient during the same session. If the biologically active molecule chosen for PET is fludeoxyglucose (FDG), an analogue of glucose, the concentrations of tracer imaged will indicate tissue metabolic activity as it corresponds to the regional glucose uptake. Use of this tracer to explore the possibility of cancer metastasis is the most common type of PET scan in standard medical care (90% of current scans). One of the disadvantages of PET scanners is their operating cost. – Neuroimaging (e.g. diagnosis of Alzheimer disease). – Cardiology (e.g. atherosclerosis and vascular disease study). – Pharmacokinetics (Tracking and bio-distribution studies). Besides its established role as a diagnostic technique, PET has an expanding role as a method to assess the response to therapy, in particular, cancer therapy, where the risk to the patient from lack of knowledge about disease progress is much greater than the risk from the test radiation. What are currently the limitations to the use of PET? Limitations to the widespread use of PET arise from the high costs of cyclotrons needed to produce the short-lived positron emitting radionuclides for PET scanning and the need for specially adapted on-site chemical synthesis apparatus to produce the radiopharmaceuticals after radioisotope preparation. Organic radiotracer molecules that will contain a positron-emitting radioisotope cannot be synthesized first and then the radioisotope prepared within them, because bombardment with a cyclotron to prepare the radioisotope destroys any organic carrier for it. Instead, the isotope must be prepared first, then afterward, the chemistry to prepare any organic radiotracer (such as FDG) accomplished very quickly, in the short time before the isotope decays. Few hospitals and universities are capable of maintaining such systems, and most clinical PET is supported by third-party suppliers of radiotracers that can supply many sites simultaneously. This limitation restricts clinical PET primarily to the use of tracers labelled with fluorine-18, which has a half-life of 110 minutes and can be transported at a reasonable distance before use. Nevertheless, in recent years a few on-site cyclotrons with integrated shielding and “hot labs” (automated chemistry labs that are able to work with radioisotopes) have begun to accompany PET units to remote hospitals. Because the half-life of fluorine-18 is about two hours, the prepared dose of a radiopharmaceutical bearing this radionuclide will undergo multiple half-lives of decay during the working day. This necessitates frequent recalibration of the remaining dose (determination of activity per unit volume) and careful planning with respect to patient scheduling. The resulting overall cost of the exam is very high. 1. The prohibitive costs of PET due to the cost of both cyclotrons and of the preparation and transport of the radionuclides to the hospital, which makes PET available only to a small fraction of the people who could receive benefits from this powerful diagnostic tool. 2. The production of positron emitting radionuclides having short half-life directly inside the hospital or the clinic doing the PET and not at the cyclotron facility site. Thus the research work at first has been directed to the solution of the issue of short decay times. We have checked there are several isotopes having the right characteristics. In order to overcome the issue of the high cost of cyclotrons, Prometeon and Open Power have developed an innovative process which relays on neutron irradiation of the target element instead of accelerating charged particles in a cyclotron. The target material, so stricken, shifts right its position on the p/n nuclide chart, reaching the position of unstable isotopes. only in the case of transition energy greater than 1022 KeV required to satisfy the energy balance of equation (1). 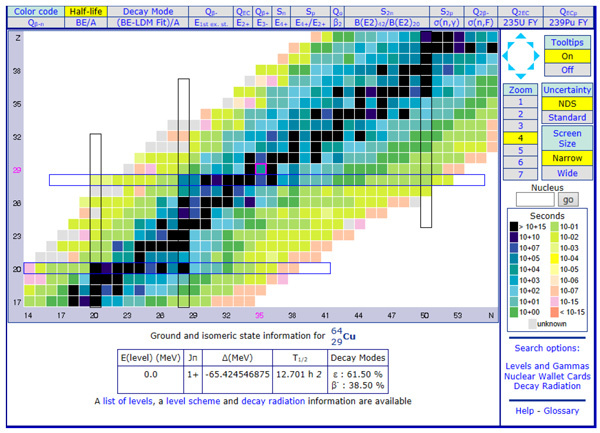 Such a method allows a greater freedom of movement on the Nuclide Chart (transmuting nuclei), because neutrons enter much more easily than protons into the target nuclei; by choosing properly the starting elements, we can get different end isotopes, each provided with the decay properties of specific interest, usable in many fields of application, even different from the nuclear medicine. The irradiation unit is placed after a neutron withdrawal tube and allows the production of positron emitting radionuclides without energy input. The dimensions of the device will be not so different than that of a portable neutron generator while the expected selling price is less than 300k€! Every Hospital/Clinic can easily afford this investment, which will allow them to become autonomous and, what is even more important, the final cost of PETs will be much lower than they currently are. 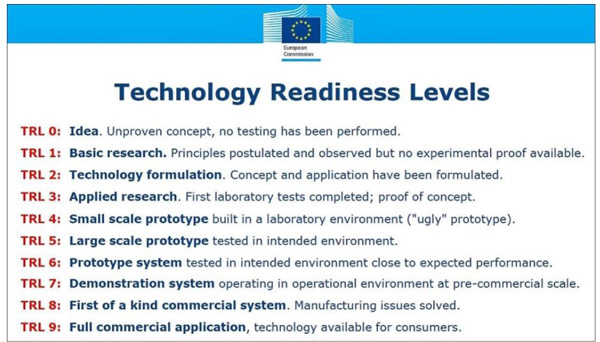 Next steps (all performed tests have been positive and therefore the starting Level is TRL 3). a) Build the prototype of a positron emitting radionuclides generator and test it inside the laboratory. Perform a laboratory validation (TRL 4). c) Large scale prototype tested in intended environment at a suitable hospital or university (TRL 5-6). d) System prototype demonstration in operational environment/s (TRL 7). e) Achievement of all necessary safety certifications. a) To sell the rights to the technology to industrial enterprises producing medical devices. b) To start a new manufacturing facility and organize the commercial network to sell directly the positron emitting radionuclides generators to the health-care facilities of each Country.